This may be a problem that not many of you have… but have you ever completed your menu and grocery list for the next week and found that you have extra money left over? Maybe you planned some really cheap meals, or made meals based on what’s in your pantry. It’s quite nice when you see you’re under budget on groceries! I have a checklist in my head of things I can buy with that leftover money every week, and I’m sharing them today to help give you ideas. Once you start stocking up on items with that money, soon you’ll find that you’ll have cumulative weeks of extra money and it’s an endless cycle of keeping your house stocked! The best part about buying meat is that you can easily freeze it for future use; either throw it in the freezer raw or cook it first for simpler dinners! 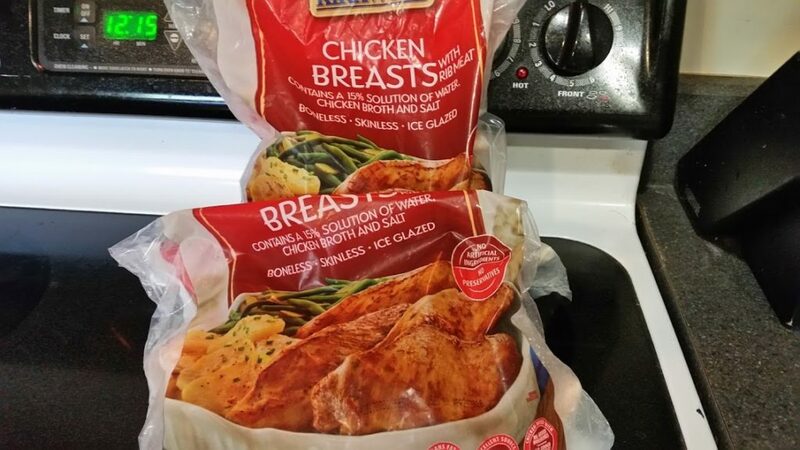 I like to keep chicken breasts in the freezer at all times (I’m a big chicken person), so whenever I see it for less than $1.89/lb, I try to buy some whenever I have leftover money. Non-perishables can include food, like cans, jars, and boxes; or even non-food items like toothpaste, deodorant, and shampoo. 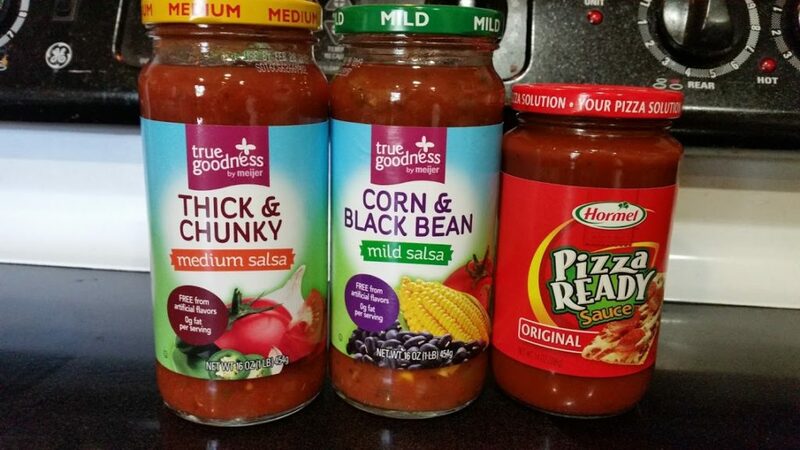 My favorites to keep an eye out for are salsa, canned pumpkin, pasta, chocolate chips (do those count as non-perishable? ), and Suave shampoo. I have a phobia of running out of shampoo, so when I’m under my grocery budget, I check the ads to see if it’s on sale. I’m totally guilty of doing this, as you’ve probably seen from my Big Lots/Ollie’s shopping trips! 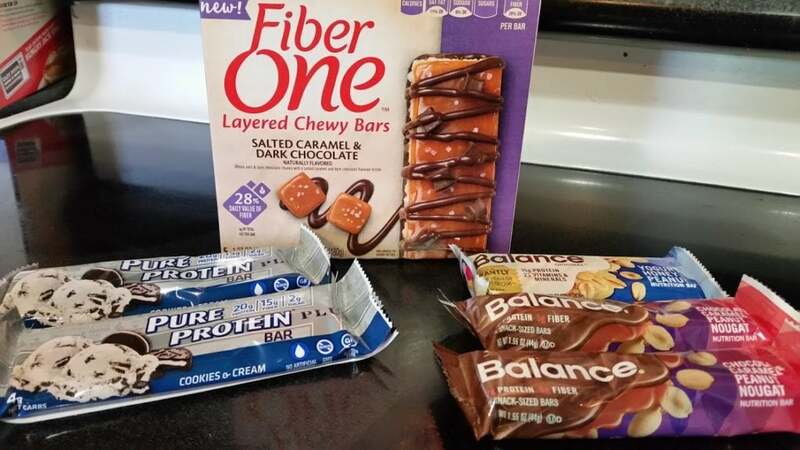 If I have any money left over, you can bet I’ll be at either one of those stores buying protein bars or other snack bars. If you’re the same way, just make sure to take advantage of sales so you can get them at the lowest price. Big Lots has been sending me coupons for $5.00 off a $15.00 purchase, so I’ve been taking advantage of it. Sign up for Buzz Rewards here and get $5.00 off as well! Does anyone else get really excited about checking the clearance section? Kroger is my favorite, because they usually have some quality items in there. It’s also the only store in my area (that I know of) that has a separate stand for clearance produce, so I make sure to check there too for anything I can freeze. I’ve found Starbucks coffee, slightly dented cans, and other nice things; and coupons will still work on clearance items, so you can get a pretty good deal! If you truly can’t think of anything to buy, there’s no harm in holding on to your money! Decide in advance what you’ll do with leftover grocery money: will you keep it for any great sales next week? Or put any extra money into debt, or your savings account? There have been times I’ve held onto an extra ten dollars, and realized the next week that we needed, say, toilet paper from Sam’s Club. That extra money can really help when you need to make a bulk purchase! It may not happen every week for you, but now hopefully you have a pretty good idea of what to do with your leftover grocery money! 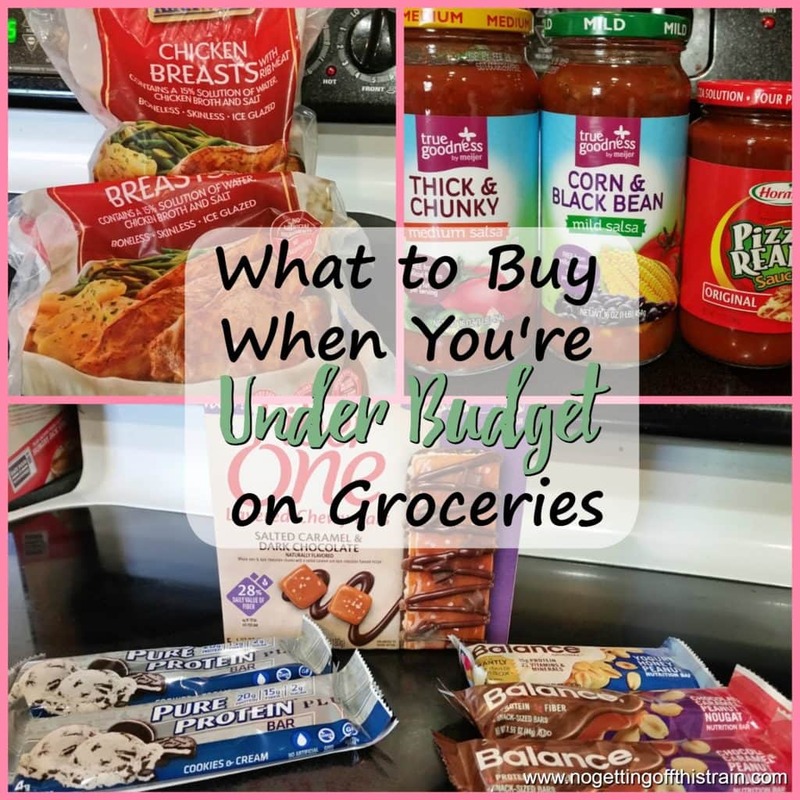 Being under budget on groceries is awesome and gives you the freedom to buy those little extra things. What else do you typically buy when you’re under budget? Leave a comment and give us ideas! Be sure to check out the other posts in my ABCs of Frugal Living series! Are We Really Spending Only $30 a Week on Groceries? Do chocolate chips spoil? I don’t know. They never last long long enough to spoil!